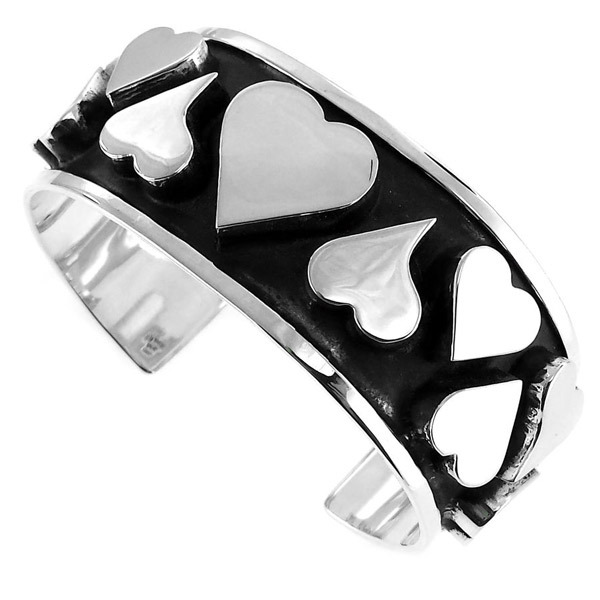 Dress up your wrist with this Stylish Silver Hearts Cuff. Handcrafted using traditional methods by silversmiths in Taxco, Mexico, of solid 925 Sterling Silver. Adjustable. Chic & unique look. Hearts are thick silver and this bracelet has a substantial very high quality feel to it.